Scientists in the US have succeeded in developing the first living cell to be controlled entirely by synthetic DNA. The researchers constructed a bacterium’s “genetic software” and transplanted it into a host cell. The resulting microbe then looked and behaved like the species “dictated” by the synthetic DNA. The advance, published in Science, has been hailed as a scientific landmark, but critics say there are dangers posed by synthetic organisms. Some also suggest that the potential benefits of the technology have been over-stated. But the researchers hope eventually to design bacterial cells that will produce medicines and fuels and even absorb greenhouse gases. 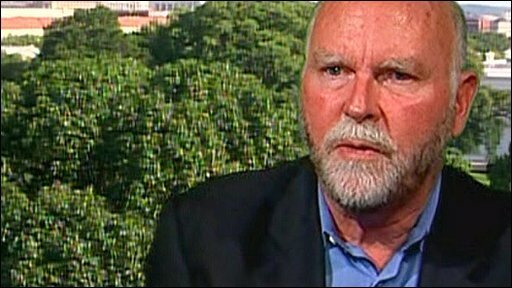 The team was led by Dr Craig Venter of the J Craig Venter Institute (JCVI) in Maryland and California. Hot debate on this article..
My interjections are and have always been, with all that highly evolved technology, i.e, pyramids, etc what happened??? Why is there no sign of that civilization? Natural disasters?? And who suffered the…m and who survived? One thing that I think we all tend to forget, is that we are all human/melaninated or not. And there is something deep inside of each human being; that when put to the test, will face their own destructive shadow. They can give into it or refuse to act on it, but the shadow exists. Societies/civilizations have risen and fallen due to greed, covetousness, invasions, conquering, enslavement and hoarding/claiming another’s property. These highly evolved civilizations had the master/slave reality. In order for the Masters to keep their wealth, positions and dominance they had to have slaves and use intimidation, wars, and invasions to keep them afloat in their golden boats. No civilization has been spared this terrible reality. So now we see the European doing what its predecessors have all done. If we want to go back and claim Africa as the mother of all nations, let’s take that step with true honesty. Yes, to begin with, there was a strong link to Nature, but then somewhere along the way that link was broken and replaced with avarice and fear. Instead of human beings having just what they needed, they became so obsessed with hoarding; that they had more and more of what they wanted and the masses had less and less. The secrets where held among the elite class. Over time, the masses rebelled, as is always the case in any society where the rich get richer and the poor get poorer. Too often we look at the Glorious History, but never ask the poignant question of what happened?? How do we find the balance of living in harmony with nature without destroying her every step of the way? How do we care for one another, with…out hoarding or preventing others from moving forward. How do we resist the need to compete against one another and support one another instead? How do we change the way we go about creating a world where all things can exist in harmony? How often do we look back at these Great Civilizations and ask the question, why did they fall? In fact, let’s take it to another level, and ask, what is the definition of a Great Civilization? Does a Great Civilization have the balance of power and wealth among the masses. Does being a great civilization directly equate with how “much” wealth they have. And in order to amass this wealth, does a Great Civilization destroy the environment in the process? I look at this each day in our own world and I am reminded too often of the imbalance. How one rich man could feed so many starving people, and yet they do not. What is this thing about humans, who need to have themselves expressed through the things they have and not the service they provide? So in getting a key link to how to create a so called living cell, does this mean that this technology will be hoarded for the rich and any medical advantage of it will be deprived from the poor. In fact, with all the money that is used (worldwide) and subsequently wasted, how is it that it is not discovered how to bring harmony to the planet, harmony among its people, and balance between nature and science? Wake up, and change our lifestyle, it is not sustainable!